KRAKEN G12 GPU Cooling Adapter - Black Quickly mount any Kraken Series liquid cooler onto graphics cards with the Kraken G12 mounting kit. Plus, the G12 is compatible with more than 30 liquid coolers on the market. 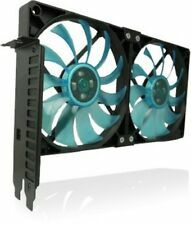 Zalman UltraQuiet VGA Cooler VF700-Cu. NEW & BOXED . Pure Copper. MAY BE COMPATIBLE WITH OTHER CARDS WITH THE CORRECT MOUNTING HOLES . All cards that have mounting holes: ATI Radeon 9. Series, ATI Radeon X.
Consair Hydro Series HG10 N980. The HG10 N980 fits GPUs based on the Nvidia GTX 980, GTX 980 Ti and GTX Titan X. Liquid cooling is superior to air cooling – it’s basic physics. With the HG10, upgrading your GPU to liquid cooling has never been easier. Model: PLD08010S12HH. 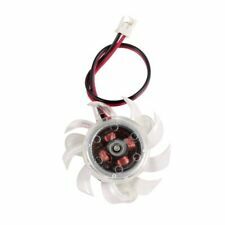 1 x A Pair PLD08010S12HH​ Fan. MSI 460GTX. MSI 560GTX. MSI 570GTX. MSI 580GTX. MSI R6790 HAWK. MSI R6870 HAWK. Gelid's PCI fan holder consists of two Slim 120mm UV Blue fans. These fans connect to a PCI slot fan holder which aids in cooling graphic cards and other internal components. Both fans are just 15.8mm thick and super quiet, spinning at only 1500 RPM. Holes spacing: 40mm 40mm 40mm. Wire Length:70mm. This item is only fans, no mounting screws, heatsink or others included. 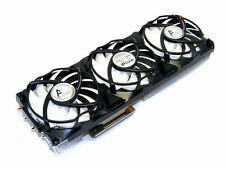 86mm Video card fan. 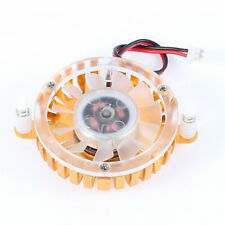 This item only a fan, no mounting screws, heatsink or others included. Wire Length:250mm. Holes spacing: 40mm x 40mm x 40mm. 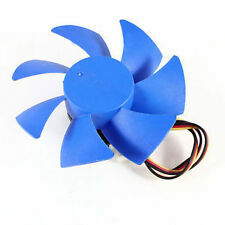 This item only a fan, no mounting screws, heatsink or others included. “Got a Nvidia GTX480 or an ATI 5870 and want to keep it cooler and quieter?. Then you just may need the Gelid Icy Vision!”. The ICY VISION includes five power heatpipes with 10 effective heat transmission channels and 85 individual 0.4mm thick high quality aluminium fins. Custom HP P420 SATA RAID Card 35mm Fan Cooler Mount Bracket Clip. Screw your fan to the bracket and then clip onto the card, Job done! The brackets are pre tapped with M3 holes suitable for any M3 bolt or screw (We suggest nylon screws but any will work). 85mm x 85mm x 15mm. Don't include Mounting screws, Heatsink or other. This item only a fan, no mounting screws, heatsink or others included. Cord Length: 260mm. Hole Distance: 40mm 40mm 40mm. Your can go here or here to check the 4-Pinor 3-Pin wires model. This item only fans, no mounting screws, heatsink or others included. The cable Length may be longer than your origianl fans'. Hole Distance: 40mm 40mm 40mm. Unlike most System blowers which are noisy and simply exhaust warm air, the GELID PCI slot fans can direct airflow silently towards your Graphics Card dropping the GPU, VRM temperatures significantly. Custom HP P420 SATA RAID Card 40mm Fan Cooler Mount Bracket Clip. Screw your fan to the bracket and then clip onto the card, Job done! The brackets are pre tapped with M3 holes suitable for any M3 bolt or screw (We suggest nylon screws but any will work). If you have a preference just ask. Screw your fan to the bracket and then clip onto the card, Job done! The brackets are pre tapped with M3 holes suitable for any M3 bolt or screw (We suggest nylon screws but any will work). NZXT KRAKEN G10 adapter Corsair H75 Liquid Cooler (120mm Fan). AMD: R9 390X , 390 , 380X , 380 , 290X , 290 , 285 , 280X , 280 , 270X, 270, R7 370, HD7970 , 7950 , 7870, 7850, 6970, 6950, 6870, 6850, 6790, 6770, 5870, 5850, 5830. 1 x Graphics Card Heatsink (Others Not Included). Three fans cooling, prolong the working life of the graphics card. Aluminum-magnesium housing design brings better heat dissipation effect. Fan Speed: 1500RPM±10％. Power Connector: 4pin. Hole Distance: 40mm 40mm 40mm. This item only fans, no mounting screws, heatsink or others included. The cable Length may be longer than your origianl fans'. Cooling Fan GTX1060 GTX1070. 1 Cooling Fan for Gigabyte GTX1060 GTX1070. Current: 0.50A. 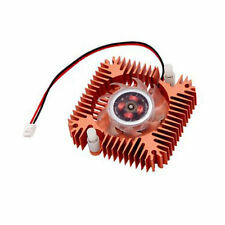 This item is only fans, no mounting screws, heatsink or others included. Graphics card fan GPU cooler for ASUS P106. Original graphics card cooler/fan for ASUS P106 mining map. Original fan of ASUS P106 mining graphic cards. 1 x graphics card cooler/fan for ASUS P106 mining map without heatsink. Note:This triple fan's main connector is 4pin. It can apart into 3pcs 4pin fans. 75mm x 75mm x 10mm. Don't include Mounting screws, Heatsink or other. 85mm Dual-X Fan FD7010H12S. Fan Model: FD7010H12S. 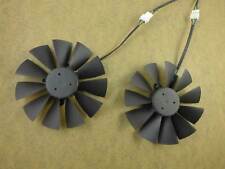 1pair x 85mm Dual-X Fan (FD7010H12S). For Sapphire HD7870 7950 7970 270X 280X 290 Video Card. Sapphire R9 280X 3G. Sapphire R9 280X 3GD5 Platinum Edition OC. Hole Distance: 43mm 43mm 43mm. 55mm Fan For Video Card 43mm. 1 55mm Fan For Video Card 43mm. This item only a fan, no mounting screws, heatsink or others included. Cord Length: 70mm. CF1015H12D Video Card Fan. CF1015H12D Video Card fan. This item is only fans, no mounting screws, heatsink or others included. Holes spacing. Msi Gtx 980 Reference Cooler ONLY. No Graphics Card. This is the cooler ONLY. No graphics card included. No screws or anything else included. ONLY what you see in the photo. The thermal pads are useless anyway in this state. The user is advised to replace them. Notes: The cooler is designed to hold the NVIDIA Geforce GTX 1080 Founders Edition! All conversions take place therefore at your own risk! Compatibility: NVIDIA Geforce GTX 1080 Founders Edition. The soil consists of very pure copper, which was plated for better protection against oxidation with a nickel layer. 85mm XFX Dual Fan. Connector: 4Pin. 1 85mm Dual Fan. Wire Length. Connector: 4Pin. This item only a fan, no mounting screws, heatsink or others included. Holes spacing: 28mm x 28mm x 28mm x 28mm. Msi Gtx 980 Ti Reference Cooler ONLY. NO Graphics Card. ASUS HD 7970 DirectCU II (TOP) Heatsink. No fans. Fits any HD 7970 video card. 75mm x 75mm x 10mm and 85mm x 85mm x 10mm. 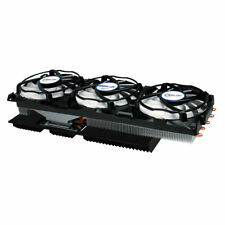 Note: On this triple fan, include a 75mm and two 85mm fans (as the picture). Don't include Mounting screws, Heatsink or other. Compatible CPU: AORUS RX 580. Compatible with: GIGABYTE AORUS RX580. Compatible with2: GIGABYTE AORUS RX570. Compatible with1: GIGABYTE RX 580 AORUS. category: vga cooler. Application: Graphics Card. Fan Life: 30000 hrs. 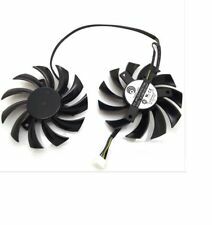 InRobert 88mm T129215SU Graphics Card Cooling Fan For Gigabyte GeForce GTX 1050 Ti RX 480 470 570 580 GTX 1060 G1 Gaming Cooler (Fan-B). Model: T129215SU. 88mm x 88mm x 10mm ( ± 2MM). Suitable for Gigabyte GeForce GTX 1050 Ti/1050/1060 G1 Gaming.